Approved Minutes of monthly Sailing Sub Committee and Management Committee meetings can be viewed in the Members Only section of the club website portal. Log in to your account and you will find the links in the right hand column. The course planned for March/ April has been cancelled due to insufficient numbers. We will arrange another course in the autumn. Members course - three weekends of 23/24 March, 30/31 March and 6/7 April. Cost held right down to £190 including RYA materials.You will need your own plotter, dividers, pencil, rubber and notebook.If you are wanting to join send a message now through the contacts page. Members are reminded to check Crewing Availability/Crew Wanted in their on-line accounts. 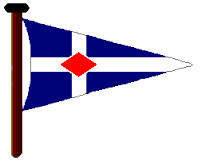 Any helms needing crew or crew needing to sail keep your records up to date and get more of us on the water! Following the presentation at the AGM, a copy of the full strategy document is available in the Downloads area.